What is Pinot Noir wine? Pinot Noir is one of the noble red grapes behind some of the world’s most prized wines. France is the grape’s spiritual home, where it’s the sole variety used in cellar-worthy red Burgundy. It’s also widely planted in the New World, with California, Oregon and New Zealand producing some of the most prized bottlings. Depending on its origins, wines produced with Pinot Noir exhibit a range of aromas, textures and flavors, but are commonly light to medium bodied with red berry and earthy characteristics. Old World examples can be delicate in nature, with subtle, earthy nuances like mushroom and truffle, with a tart red cherry flavor. The New World can offer more fruit-forward examples that display rich red and blackberry tones, balanced by sweet baking spice sensations. Is Pinot Noir red or white? Pinot Noir is a red-skinned grape most commonly used to produce red wines. Young Pinot Noirs sometimes show hues of red and violet. As it ages, its color loses intensity and the wine can take on a brick red color. 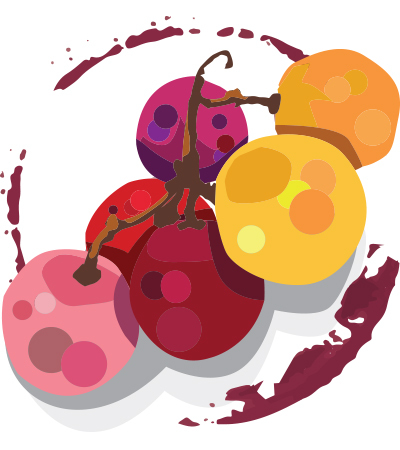 The grape can also be used to make white, rosé and sparkling wines. Pinot Noir is one of the main permitted grapes in Champagne and is usually the dominant component in blanc de noirs bottlings. Many of the main Pinot Noir-producing regions of the world also make rosé wines from the grape, including California, Oregon and New York in the New World, and France, Germany and Austria in the Old World. Some regions like Germany and Oregon also produce a white wine from Pinot Noir by minimizing or negating skin contact during fermentation, however these are typically rare, small-production bottlings. Pinot Noir grapes have been crafted into wine for more than 2,000 years. In the field, the variety is prone to mutation, which results in the propagation of many clones. Pinot Noir’s mutations are the most cataloged of the Vitis vinifera grapes. Infamously prone to root rot, fungus and mold, Pinot Noir’s vast number of clones offers a breadth of disease and blight resistant genetics. Growers select clones for a specific resistance or for the site’s soil, microclimate and acreage. Different clones grown in the same vineyard will vary in flavor, color, yield size and cluster density. This variety works to the advantage of the winemaker, and it is not uncommon to create an assemblage to play off each clone’s characteristics. Are you looking for a Pinot Noir to remember or a rosé structured like no other? Use Wine Enthusiast’s online Buying Guide to find the top-rated Pinot Noir wines among our extensive Pinot Noir wine reviews and easy-to-use database. Our wine reviews will give you a general idea of what to expect from wines made from Pinot Noir and will help you find one that best suits your needs.